Heading for the Hills: It's Friday...it's crackerjack! 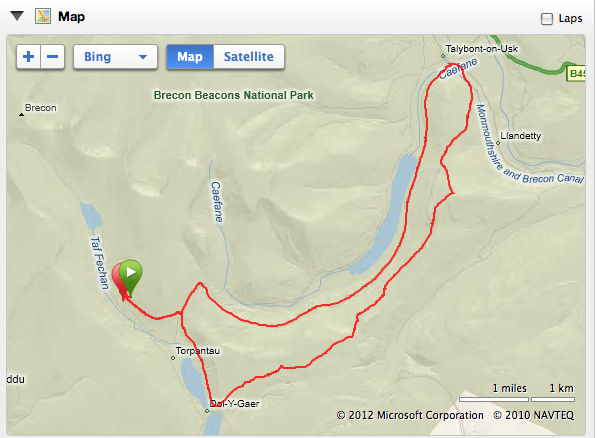 I had a cracking run today up in the Beacons. The weather forecast wasn't great so I decided to do a lower level route, but it's always worth taking the gamble and getting out there and today I was rewarded with blue skies and amazing views of the tops, but it was really bliddy windy! 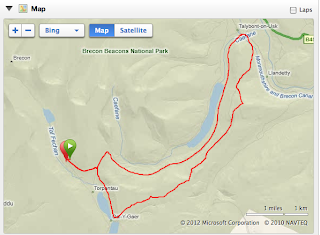 So, my route is below, just short of 20 miles in just over 4 hours...must post my photos of last weekend in the Lakes at some point...but for now, the Beacons in all their glory.